Vavilov's is one the saddest stories in twentieth century science. By all accounts a man of truly extraordinary energy, intellectual powers, and charismatic personality, were it not for the backward Lamarckian theories of T. D. Lysenko and their support by the Soviet authorities he might have lived a full life and been destined to become the greatest crop geneticist and plant geographer of the twentieth century. Even as it was, his contributions were still very extensive. Initially with the support of the state, his studies added fundamentally to our knowledge of the characteristics of plant immunity, the nature of variability within plant species (leading to his "law of homologous series"), and the geographical centers of origin and biodiversity of cultivated forms. 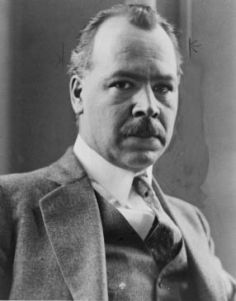 In 1955, after the death of Stalin, Vavilov's name was cleared of wrong-doing and he has since been recognized for what he undoubtedly was, "a symbol of the best aspects of Soviet science, and a martyr for scientific truth" (DSB, Vol. 15, p. 511). --born in Moscow, Russia, on 25 November 1887. --dies at Saratov, Russia, on 26 January 1943. --Dictionary of Scientific Biography, Vol. 15 (1978). --Economic Botany, Vol. 45(1) (1991): 38-46. --Journal of Heredity, Vol. 38(8) (1947): 226-232. --Impact of Science on Society, Vol. 39 (1989): 125-132. --Soviet Genetics, Vol. 23(11) (1988): 1341-1346. --Great Soviet Encyclopedia, Vol. 4 (1970): 540-541.